Cataracts are a common problem for many people—especially as they get older. Take a few minutes to learn more about cataracts. The lens is the clear section of your eye that helps to focus light on the retina. A cataract is the clouding of this lens. In the early stages a cataract may not be noticeable, but eventually it can significantly interfere with your vision. Cataracts can make it harder to read, drive, or see details. 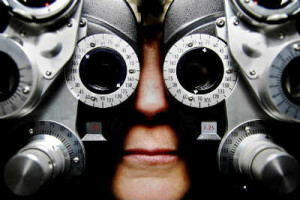 Some people have described vision with cataracts like looking through a foggy window. You can get a cataract in one or both eyes, but a cataract won’t spread from one eye to the next. If you notice any of these symptoms, or if you have a family history of cataracts, you should see your eye doctor as soon as possible. Cataracts commonly develop as people age and the tissue in the lens of the eye changes. While age is one of the most common causes of cataracts, injury, diabetes, medication, or past surgery can all contribute to the development of cataracts. Can you delay the development of cataracts?